The Vivo Overbed Table is Invacare's latest addition to the premier homecare market. 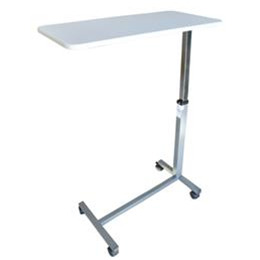 With pleasing aesthetics and a large range of height adjustability, the Vivo is perfect for users seeking overbed tables which fit both form and function. Heavy Duty frame and fixation allow for increased weight capacity of 44 lbs. Height Adjustment 27.5" to 43.7"